Celia C. Peters is a filmmaker and artist who creates compelling stories of authentically diverse characters rooted in the complexity of the human experience. Peters is a member of New York Women in Film and Television and the Writers Guild of America, and a Film Columbus board member. She was selected for and participated in the Talent Lab at the 2018 Reykjavik International Film Festival in Iceland with her sci-fi feature project Godspeed. In 2018, Peters curated and screened FAR OUT BLACK/The West Coast Edition, a program of sci-fi short films by Black directors, at the California African American Museum in Los Angeles. She also curated “Futures for the Rest of Us,” a group exhibit of futurist art by artists typically underrepresented in leading science fiction stories at Blockfort in Columbus, OH. She presented “Science Fiction: The Liberation Genre” at Miami University in Oxford, OH. She is also creator and producer of the panel REPRESENT: The Rise of Characters of Color in Sci-Fi TV & Film, which took place at the 2017 New York Comic Con in October 2017. Peters also curated and produced FAR OUT BLACK: An Evening of Afrofuturist Short Film, which took place at the 2017 Afropunk Festival. Her psychologically inspired, character-driven screenplays have been both prize-winning [African American Women in Cinema Film Festival; San Francisco Black Film Festival] and recognized in competition [Sundance Writers Lab Finalist; Beverly Hills Film Festival Selection; Bluecat Screenplay Competition Quarterfinalist; IFP-Gordon Parks Finalist]. In 2003, she was selected for the IFP Project Involve Fellowship (Narrative). In 2017, she completed her sci-fi short film thriller Roxë15 and was awarded a post-production residency at the Wexner Center for the Arts for her short sci-fi film, MISSION. In 2015, Peters’ feature script for Roxë15 was selected for participation in CultivEight, a feature film development incubator sponsored by the NEA Art Works Program. She was awarded a 2012 residency at Hawthornden International Retreat for Writers in Midlothian, Scotland. Her experimental short film “FIOFY [Figure It Out For Yourself]” (2011) was featured as an installation piece in ‘Conjuration,’ an exhibit in tribute to Jean-Michel Basquiat in New York City. "FIOFY" was featured in the FAME Film/Arts Festival in London in April 2013. 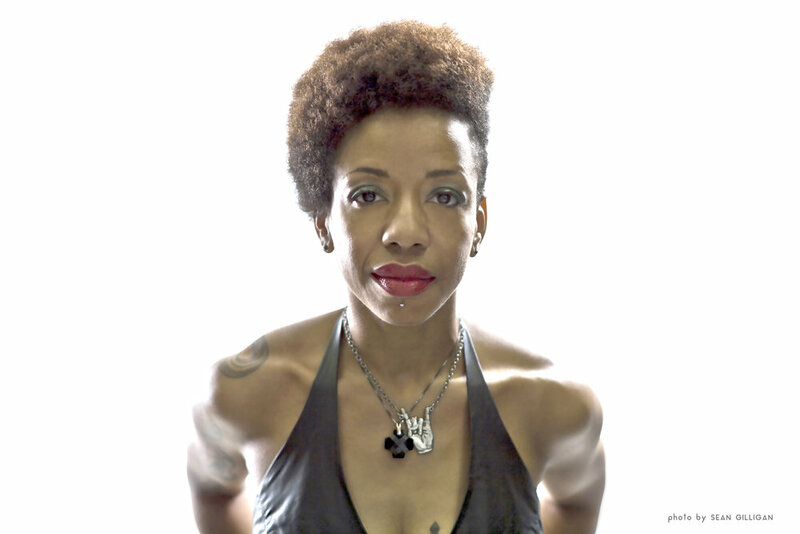 Her filmmaker credits also include the short documentary piece "Flipsides of the Black Musical Experience (2013)," the experimental performance piece, “Poem in Motion (2011),” the short documentary “Rethinking Beauty (2011),” and “Editing Uptown (2010),” a featurette on the nationally distributed DVD of the indie film, “Uptown.” In 2007, Peters produced a half-hour segment, “The State of Hip-Hop” for WHUT/PBS and her short narrative film “Breakthrough (2006),” was broadcast nationally on BET’s The Best Shorts series. Peters is also the creator and producer of the dramatic reading series “The Next 15 Minutes (TM),” and has produced staged readings at Tribeca Film Center and the National Black Theater of Harlem. She was the creator and producer of Cinéma Noir Film Series (2014-2015) and was also the founder/producer of The Public Domain Pop-Up Exhibit, both in Columbus, Ohio. She created and produced of ACTION! The Lowdown on Being a Professional Actor, a talent development panel that took place in February 2017 at Columbus College of Art and Design. She is the founder of Artistic Freedom Design, and her visual art, photography and video work have shown at galleries in New York, London, Washington, D.C., Dallas, Detroit, Cleveland and Columbus. Peters is an honors graduate of University Michigan with a B.A. in French and Political Science, and she holds a Master’s degree in Public Policy from the University of Chicago. As well, she has done graduate studies in clinical psychology at New York University. Currently, she is developing her sci-fi feature film Godspeed for production in late 2019.